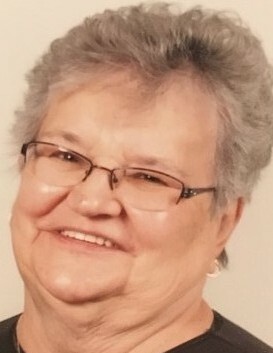 Bertha Imogene “Sam” Spencer, 80, of Rossiter, passed away Saturday, March 23, 2019 at Forbes Hospital in Monroeville. She was born on December 07, 1938, in Barnesboro, a daughter of the late Francis and Maud (Craft) Fleeger. On March 30, 1957, when she was just eighteen, she married her sweetheart and lifelong partner of sixty- two years, John Clair Spencer. He survives and resides in Rossiter. She attended the Canoe Ridge Church of God. Bertha “Sam” worked as a visiting nurses aid for many years, which was a perfect job for her as she loved caring for others. Her enjoyments were sitting on her swing, crocheting, baking, spending time with her family and her two cats. In addition to her husband John, she is survived by five children, Edward Spencer and wife Anita of Luthersburg, Wendy Seaman and husband George of Brockport, Joseph Spencer and wife Bonnie of Rochester Mills, Daphne Pape and husband Carl of Rossiter, and Troy Spencer and fiancé Danielle Travis of Anita; thirteen grandchildren and sixteen great grandchildren. Preceded in death by her parents, one son, Johnny Spencer; one brother, William Fleeger; three sisters, Sue Pearce, Edrubelle Spencer and Hazel Hill. There will be no visitation, a memorial service will be held at a later date at the Canoe Ridge Church of God. Arrangements entrusted to Shumaker Funeral Home, Inc., Punxsutawney.